Planes, trains and automobiles…. Mini Europe trip….first stop Budapest…. 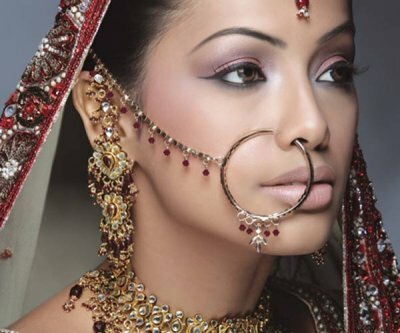 In the Asian culture getting married is a big deal. It’s a bigger deal than getting a first class honours degree or winning the lottery. ‘But, Asian’s have arranged marriages don’t they? They aren’t allowed to choose their husband or wife. Don’t their parents find someone for them and force them to marry that person? Isn’t all this true?’ I’m not going to lie and say that this does not happen for some people. ‘A girl once asked me if I’d see my husband before I marry him, I told her no, I’d just see him on my wedding night’. This is a true question and I could tell you loads more that would have you in stitches. Finding a marriage partner is hard work as it is. It’s even harder when you have to narrow your pool to Muslim and Pakistani and for those who are hard-core lovers of the caste system, it’s even narrower. So when does one find a suitable partner? ‘A club, bar, work, friends, interests? Well for Asians finding a lifelong partner in a club or bar is unheard of especially if you’re Muslim as alcohol is forbidden and most people aren’t looking for a drinking partner. So, where else are we left with? How about work? I work in a white dominated environment and don’t encounter any eligible Muslim men. And the white men definitely can not pass for Asian even if they hit the sun bed. Okay, what about friends? Most of my friends are single so looking for me isn’t high on their priority list and I’m not looking for used or second hand gifts from friends. What about online? I’d rather have a real face-to-face meeting as opposed to a cyber-friendship and texting, BB messenger and Whatsapp isn’t my preferred choice of communication. I can see that my options are already dwindling. What about so called networking or speed dating events? I seem to have a tattoo on my forehead that says geeks and men who don’t think before they speak please come and talk to me. I am not a social recluse, but I refuse to engage in conversations to do with how many A stars a person got in their GCSE or what car they are looking to buy next or worse still where in Pakistan I live. What happened to normal conversation? ‘Hi, how are you? So what book are you reading or what do you think of the weather?’ I’d much rather have real conversations than one that consists of pleasantries. God forbid I should have an opinion, be myself, and not try to impress anyone. So that’s where I am going wrong. Simply opening my mouth and speaking. Damn. My mother always told me not to talk to strangers to, so maybe staying quiet is a good thing. At weddings and every time, I bump into a relative or family friend I hear the following ‘Wow you’re not married or engaged? Why not? What’s wrong with you? You must be too fussy. There has to be a reason why you’re still single and over 30’. Have any of you heard this before? I’ve lost count the amount of times people have looked horrified and baffled that I, a Muslim Pakistani woman can be over 30, living alone and not married. My parents obviously have no control over me and must worry themselves to sleep every night contemplating my future. These are the thoughts going through people’s head when they hear of my situation. Only a few are bold enough to actually say it out aloud. It goes in one ear and out the other now. Now a little about me. Firstly, there is nothing wrong with me. I am not socially inept or indeed of plastic surgery or a personality make over. I am a normal human being. At least I like to think I am, even though my sense of humour is questionable at times. So, why am I not married you may ask. It’s a simple answer; I have not met the right man. It’s not because I am not girly enough, too westernised or too independent. And I don’t need to change who I am as a person or try to mould myself into the type of man that the majority of Asian men are looking for. Yes, I am getting on a bit and my biological clock is ticking at the speed of light, but that does not mean I need to rush myself up the aisle. I just need to focus on whom I love and myself. Being over 30 and not married shouldn’t be the end of the world. I am not saying I don’t want to get married. If The D&G model asked me tomorrow to marry him, I’d rustle up two people and an imam before you can say Kabul, Kabul Kabul. My question is why do we allow our society to dictate to us what age we should be married by and the type of person we should marry? Previous Post I’m fasting, not dieting…. Love this! Such a good read! You funny woman, its “Qabool Hai” not kabul LOL. I know here in I India & in Pakistan what is the meaning of marriage. I read a previous blog of yours. Aug 2012. Interesting. Where is it? yes visit Paris and France. Both are great cities. I did not see any womean wearing a niqab in Germany or Paris. I saw a few women wear the hijab in Paris though. A Muslim girl in Paris…. Struggling to find a halal man in the city….